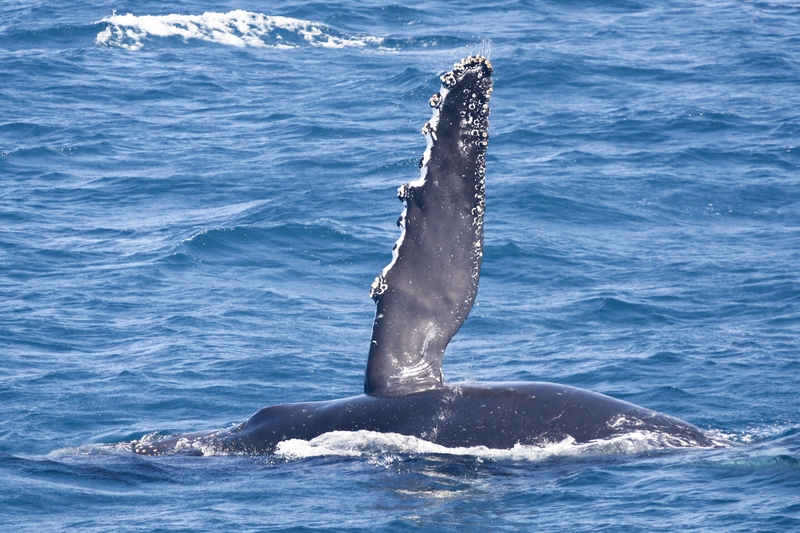 Love was in the…well, water…at Birch Aquarium today. 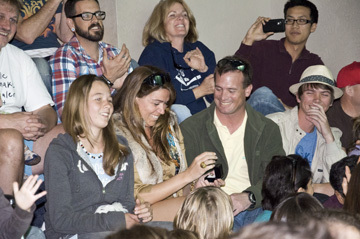 U.S. Navy Chief Warrant Officer Scott Mielock made a splash during our Kelp Tank Dive Show when he proposed to his girlfriend, Heidi Brueggeman. 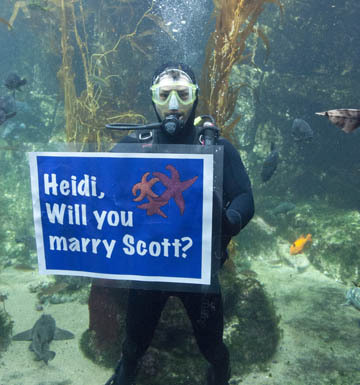 Near the end of the show, our divers unveiled an underwater sign that asked Heidi if she would marry Scott. She said yes! Scott is an Explosive Ordnance Disposal Technician who returned last week from a deployment in Afghanistan. 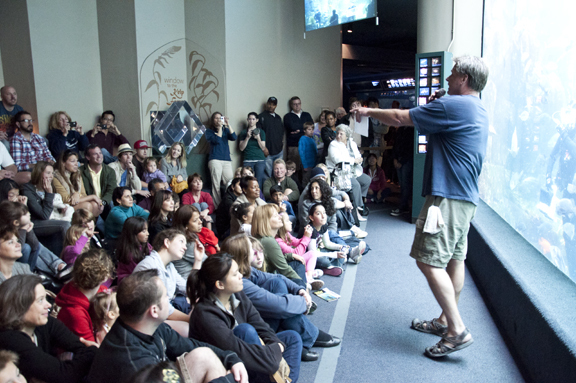 In fact, he contacted aquarium staff while in Afghanistan to coordinate the proposal. The couple met over a year ago in Rhode Island while Scott was attending an Officer Commissioning School at the Navy base there. He is stationed at NAB Coronado. Scott chose Birch Aquarium at Scripps as the place to pop the question because he is a Navy diver and he and Heidi both love the ocean. It is clear that this couple is deeply in love. We wish them a lifetime of happiness. 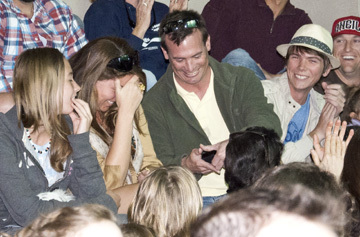 Check out the photos and video! Aquarist Mark Ball congratulates the happy couple. Greatest proposal EVER- to the greatest girl EVER.